Look no further. 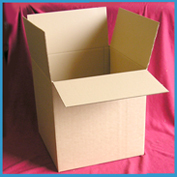 Jigsaw Bag in Box can provide super strong, double corregated removal and storge boxes at budget prices! Our boxes are 45 cm cubed and can be bought for £1.80 each from the Jigsaw offices. Discounts available on larger quantities. Please contact office for more details. Any item on the website is in stock, sometimes we get caught by unexpected order surges but these are few are far between. If we experience a stock-out, we try to get a message on the website straight away. Orders placed by 12:30pm will be despatched the same day using a next working day delivery service. We achieve this 95% of the time however we are busiest on Mondays and Tuesdays, if your order isn’t urgent let us know so that we can bump the order into a less busy day. We endeavour to get any order out on the day it arrives, our courier collects at 3pm, so orders received approaching this time are likely to be dealt with the following working day. Larger orders requiring transport on pallets are packed on the day received and despatched the following day on a 48 hour service. We welcome visitors and encourage clients to collect orders if they are close to us here in Somerset, or perhaps just passing, thus saving you the P&P costs. We are open on weekdays between 9am and 5pm. Filling a bag in box is straightforward and best achieved as follows. Care should be taken not to nick the bag, don’t put it put heavy objects on them, don’t crumple or scrunch the bag up, keep them flat ideally in the box provided, note, there’s no such thing as a small leak, it either leaks or it doesn’t! Firstly, part make-up the box; take the bag in both hands by the neck and tug the tap out of the gland. For obvious reasons, place the tap in sterilising solution and not on a dirty bench. Put the bag into the slot on the filling aid and dangle it into the box, this will support the bag while filling takes place and acts as a third hand. Place everything on a weigh scale and set the tare to zero. Filling can be from tank, cask, barrel, “petrol pump” or jug, whatever it is, sterilize it first. When you have the appropriate quantity of liquid in the bag, gently squeeze as much air from the bag as possible and use tap closing pliers to fully push the tap home. This can also be achieved manually, just pick the bag up, position the tap uppermost, and with both hands put the base of your palms onto the back of the flange and holding the tap with your fingers, push the tap fully home to the second click stop. Jigsaw has worked for many years with Vitop, aiding the design process & acting as an Agent Distributor. The relationship has been built up over many years since Vitops conception in the 1990s. In fact Simon Vine was the first commercial visitor to the original Vitop factory in France. During the past ten years or so, Vitop have been an exemplary supplier. 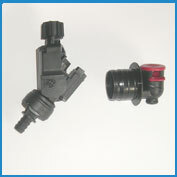 During this period, we have not experienced a single fault with either tap or connector. It is simply the best device to connect bag in boxes to the point of dispense that exists. First of all, here are some basics, the hose barb on the connector is 9mm wide (3/8 of an inch) so the internal diameter of the tubing needs to be the same. Tubing with a 9mm bore & 15mm (5/8”) o/d with some give in it is best. As mentioned we get zero complaints about the connector & tap, but two queries are often raised. First, occasionally, we are advised that there is a leak between the connector and the tap on the bag. Assuming the tap is seated correctly, in all cases, the leak is due to the bag not being fitted with a genuine Vitop Tap. Sadly, some bag suppliers will supply bags with cloned taps & there is no connector that correctly fits this tap. Please check with your supplier whether the taps on the bags are Original Vitops. Note, we only supply bags with genuine original Vitop taps, so you can buy from us with confidence. Finally, your clients (landlords, publicans, etc.) have pipe in their cellars that is too wide for the outlet on the connector. In such cases the solution is simple, take a small (15mm) piece of the correct size pipe, attach it to the connector, push it inside the wider bore tubing & secure with a jubilee clip or similar and it works. 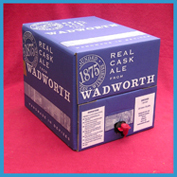 We can run relatively small quantities of customised boxes to client’s own designs. Generally, there is no difference in unit cost between custom and standard boxes, but there is a one off set up cost for each size. The print set up cost varies and is akin to asking “how long is a piece of string” as it varies depending upon design, number of colours, size of box, etc. As a guide the set-up costs for a one colour 36pt box could vary from as little as £350 to as much as £800! Second and third colours will increase this cost. It is also dependent upon the number of revisions you make; our advice would be to pick a design and stick to it. 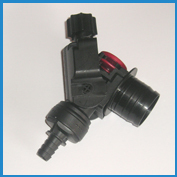 The minimum order quantity for a single colours box will increase accordingly, but the MOQ for a single colour design in each size is as follows; 3L 1800, 5L 1200, 10L 700, 20L / 36pt 650. Similarly, the unit cost will increase by between 2% & 10% per colour. For obvious reasons we ask for payment in advance for own design work. Shelf life depends on many variables, alcohol content, percentage sugar, cleanliness at fill, size of the bag, dissolved oxygen in the product and headspace in the sealed bag. However over and above all of these in importance is storage temperature, essentially the higher the storage temperature the shorter the shelf life. In short, shelf life will vary from and it’s advisable to run a trial or two on your own products. Beer – we did some tests a few years ago with a local brewery and we achieved 6 – 8 weeks shelf life unopened on an IPA(3.9%) & Best Bitter (4.3%), we imagine it’s less if you open it first. The beer does lose a little liveliness but this is not significant if you pull it through a hand pump. 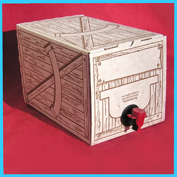 Cider – some makers who pasteurize & hot fill achieve at least a year’s shelf life in bag in box. Those who don’t pasteurize achieve months in the summer but twice this in the winter. Our system works well when the temperature is controlled to 10 - 15C, but we have heard of clients who export but find their boxes destroyed at the other end by carriers who have not treated them with respect and care. They are not metal barrels after all! Our advice would be to trial the shipping route carefully before commencing a mass shipment. 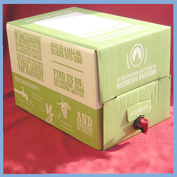 Cider or beer bags for homebrew wine? 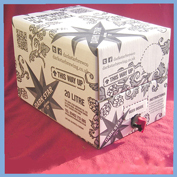 We would recommend cider bags for homemade wine, clearly plain boxes will be best allowing you to put your own labels on for identification purposes.